Look + See Eye Care is a respected eye care and eyewear company with a beautiful location on Saint Anthony Main in Minneapolis. Virtual Monk designed a new website that reflected their forward-thinking values. 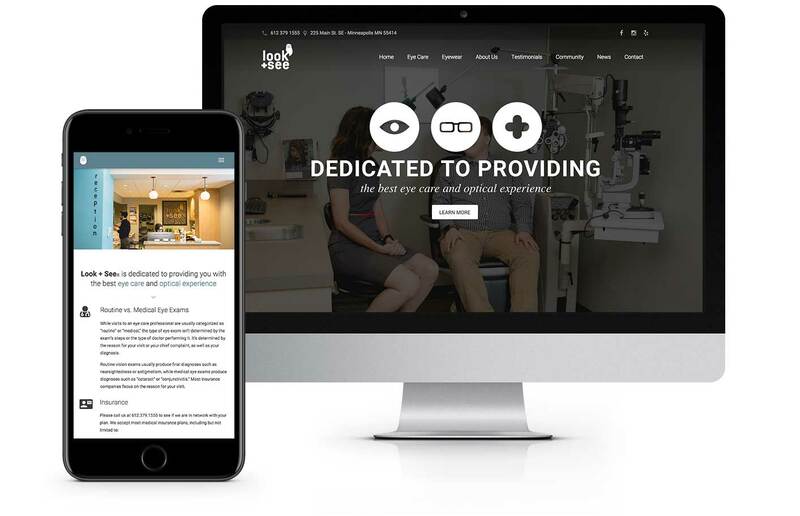 Their site (lookandseeeyecare.com) incorporates clean responsive layouts, lots of interactivity and subtle animations, parallax backgrounds and lots more into a site that stands out among local optometrists.